Before you decide to take that foreign trip, may we ask you to go through these. 1. Diu, lapped by the Arabian Sea, is a picture of calmness with superb beaches and a fascinating history. The Panikotha Fort in Diu was created in a unique way in the form of a huge ship. 2. Majuli, situated in the middle of the Brahmaputra in Jorhat district of Assam. Surrounded by water on all sides, ferry are the only means of transport. Immerse yourself in the beauty of river beaches and their culture. Dramatic skies unfold as the last rays of the setting sun illuminate the clouds above St Mary’s Lighthouse. 4. 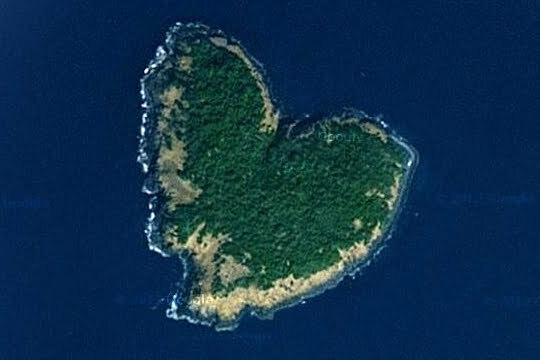 Netrani, a tiny coral island, with a shape of a heart, located in the Arabian Sea. This inhabited island is a hub of exotic marine species and it is one of the best sites for snorkelling and diving activities. 5. Divar Island, enjoy a pictographic drive here amidst paddy hills and woody hillocks. The island particularly comes alive during the Bonderam festival that is held with great delight during the monsoon. 6. Agatti Island, a beautiful white beach with serene blue lagoon and crystal clear water around them, fringed by snow white coral sands. Agatti Aerodrome is the sole airstrip in this archipelago. 7. Kadmat Island, famous for snorkeling, underwater diving and its crystal clear water. A great place to relax under huts on this very island. 8. Kavaratti Island, popular for the snow-white coral sand and lagoons and white sandy beaches which covers most of the region. An aerial view of this gorgeous island. 9. Bangaram Island, popular for its black coral formation and turquoise blue lagoons. The major attraction of this beautiful island is the exploration of underwater world, where divers can spot variety of coral fish such as clown, angel, surgeon and butterfly. 10. Port Blair, experience peace of nature here away from those booze-fuelled night pubs and hectic city life . Awesome, this is how the place looks from above! 11. Havelock Island, Kala Pathar beach is a famous spot. You can also have fun with elephants in Havelock. 12. Neil Island, naturally built Coral Bridge found here is the major attraction of this island. All the beaches here are breathtaking with green clear water. 13. Ross Island, is one of the remotest island with vast expanse of blue water, bordered with silver sand glistening in sunlight. Enjoy the wonders of nature as you cruise over the coral reef and experience the wonders of marine life. So, still thinking of taking that foreign trip? Not Just Tallest Building, Burj Khalifa Is The Holder Of 9 World Records!